When I try to follow the breadcrumb-strewn path leading back to the beginning — the moment I first knew I had to find my long-dead great-grandmother Helen — I stop at this: Seeing the word “unknown” written where her name belonged on the death certificate, dated October 31, 1954, of her only son, my grandfather, John Black. From that day on, I felt haunted by her. Finding her, one way or another, became my quest. I know I haven’t been alone in this sort of search. We Americans, for the most part, are a shallow-rooted people, a lot like weeping willow trees. If our forebears were not Native Americans, the continent’s original and rightful inhabitants, or Africans, cruelly kidnapped and brought to the Americas in the holds of ships in chains, then they likely came willingly, albeit courageously, from far-off homelands in search of better lives. Who were these ancestors? We ache to know. Where did they come from, and why did they leave? What were they like – and were they anything like us? There’s a reason why genealogy websites such as Ancestry.com have many millions of subscribers. In my own case, I found some valuable information about my Scottish great-grandmother Helen – including her name, birth date, and home town – at the National Archives in Edinburgh. From there, I visited that charming town, Kirriemuir in Angus, birthplace also of James (“Jamie”) Barrie, author of Peter Pan; and I saw firsthand where Helen worked (at the linen factory) before she and her young husband William Black emigrated to South Africa. And then? The documentation ends, until that awful word “unknown” appears where her name should have been on her son’s death certificate seventy-two years later. So I, committed to finding her, “one way or another,” was forced to imagine her into being. In this, my fourth book but first novel, I drew from my own heart, my own blood, my own DNA to envision her. I made her bold and brave in life (what other type of young woman would travel from Scotland to South Africa in 1882?) and a troubled spirit in death (why else would she haunt me for so many years?). 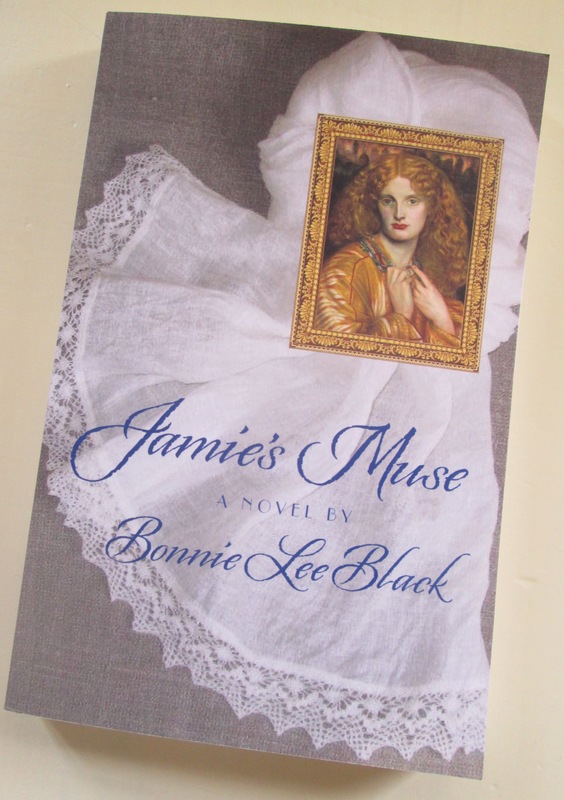 Jamie’s Muse begins with this short chapter in Helen’s voice from the other side. I can only hope that this book about her imagined courageous life will help her to rest in peace. And I hope, too, that this book inspires other Americans to search for their brave, unsung, “unknown” forebears as well. The day I died I was faced with a choice—either run with my son to safety, as my husband was begging me to do, or go to my husband’s defense. I chose to pick up my husband’s rifle, stand on our veranda, and take aim at his attackers. I shot one, but the others overpowered me. My husband and I died that day in front of our home in Natal. Miraculously, our child’s life was spared. In all these years—both a day and an eternity to the dead, but over a century-and-a-quarter to the living—my soul has not been at peace. Unanswered questions give me no rest: Did I make the right choice? Was it hubris to think I could protect my husband against those men? Should I have obeyed Will and run with our wee babe in my arms in the opposite direction? Did I abandon our son by putting both of his parents’ lives at risk? Should I have never left Scotland for South Africa in the first place? Will I ever know whether what I did was for the best? Will my spirit ever rest?